Offering ultra-high sensitivity and wide dynamic range across the entire ISO range and 5-axis image stabilization for greater shooting control, the α7S II delivers stunning image quality for photographers who shoot in the most challenging light conditions. Be it the brightest of mornings or darkest of nights, the α7S II enables new levels of photographic expression at whatever shutter speed you wish to deploy. 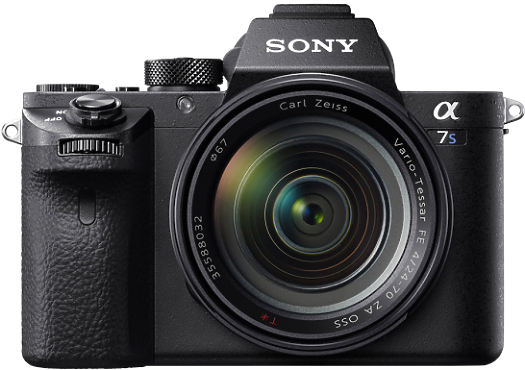 The α7SII also incorporates a host of pro-style movie functions including the ability to shoot 4K video with full pixel readout and no pixel binning in full-frame format, making it an extremely appealing proposition for photographers and videographers alike. The α7S II delivers an awe-inspiring sensitivity range of ISO 50-409600, thanks to the combination of its 35mm full-frame 12.2 megapixel image sensor and BIONZ X image processing engine. The sensor optimizes the dynamic range across the entire ISO range and broadens the range of tonal gradation in bright environments and minimizes noise in dark scenes meaning that it delivers impressive results even in the most extreme conditions. The upgraded image processing algorithm of BIONZ X maximizes the sensor’s capabilities and improves depiction throughout the full sensitivity range with particular emphasis on the mid-to-high range. This means that the resulting stills and movies demonstrate extra-fine detail with minimal noise. The α7S II can record 4K movies internally in the XAVC S format meaning that content is wonderfully detailed. Because information from all pixels is utilized without line skipping or pixel binning, the camera can maximize the expanded power of the full-frame image sensor and produce 4K movies with higher image clarity and negligible moiré. Full pixel readout without pixel binning is also employed when shooting Full HD movies which means that it collects information from approximately five times as many pixels that are required to generate Full HD and condenses the information to produce extremely high quality movies. In a first for the α7 series, the α7S II can record 120fps at 100Mbps with full pixel readout without pixel binning in full frame format which can be edited into wonderful 4x/5x slow motion footage in Full HD. The α7S II also has the ability to shoot 4x/5x slow motion footage internally which can be immediately reviewed on the camera screen. Video functionality has been further enhanced with new profiles; S-Gamut3.Cine/S-Log3 and S-Gamut3/S-Log3. These new profiles deliver wide dynamic range and color correction is easier to perform. The α7S ll even offers impressive 14-stop latitude in the S-Log3 gamma setting. The camera also supports S-Gamut/S-Log2 which is very popular among cinematographers and videographers. Gamma Display Assist is a new function that allows users to monitor images or check focus when recording S-Log movies and the Zebra function has been improved for even greater control. The new α7S II is equipped with the innovative 5-axis image stabilization system that is proving extremely popular in the α7 II and α7R II cameras. The system corrects camera shake along five axes during shooting, including angular shake (pitch and yaw) which has the greatest impact on image quality and tends to occur with a telephoto lens, shift shake (X and Y axes) which becomes noticeable as magnification increases, and rotational shake (roll) that often affects night shooting or video recording. The autofocus system on the α7S II has been upgraded and now offers 169 AF points for fast, precise focusing with greater accuracy. The power of the image sensor means that the absence of noise in images generated, enables the Fast Intelligent AF to detect contrast more easily and react speedily even in low-light situations (as low as EV-4), when it’s even tough to check with the naked eye. When shooting video, the AF performance is twice as fast as the predecessor model. A number of enhancements have been made to the look and feel of the α7S II to make it more user friendly, reliable and intuitive. Its magnesium-alloy body is both light and highly robust and the grip and shutter buttons have been re-designed so that the camera feels more natural in the hand. For situations when you just want to blend into the background, silent shooting mode can be activated for 5fps continuous shooting and reliability has been enhanced with reduced-vibration shutter movement. The lens mount has been further reinforced to ensure greater resilience, particularly when attaching third party lenses and users can now charge the camera via a USB power supply whilst the camera is in operation, thus extending battery life. The α7S II is also Wi-Fi® and NFC compatible and fully functional with Sony’s PlayMemories Mobile application available for Android™ and iOS™ platforms, as well as Sony’s growing range of PlayMemories Camera Apps, which add a range of fun creative capabilities to the camera. The α7R II has the world's first1 35 mm full-frame CMOS image sensor with back-illuminated structure, which achieves approx. 42.4 effective megapixel resolution, widely expanded sensitivity range2, and extra-low noise performance. It also has no optical low-pass filter that can compromise sharpness, so fine clarity and detail extend from edge to edge of every frame. With detail-reproduction technology to capture the essence of realism, diffraction-reducing technology to maintain clarity even at smaller apertures, and area-specific noise reduction to reduce noise adaptively and reproduce greater detail, the BIONZ X image processing engine finely tunes the image sensor's 42.4-megapixel data, for truer, clearer depiction. The growing group of FE lenses (35 mm full-frame compatible E-mount lenses)—all carefully developed to match full-frame image sensors employing increasing numbers of pixels—makes the most of the 42.4-megapixel high-resolution performance of the α7R II. The high-performance image sensor enhances Fast Hybrid AF, which far surpasses conventional AF in comprehensiveness, speed and response. The 399 focal plane phase-detection AF points cover 45% of the image area — the most coverage among digital still cameras with full-frame image sensors. 25-point contrast-detection AF coverage is also included. This stabilization system is fine-tuned for high-resolution image sensors to compensate accurately for five types of camera shake that can compromise handheld shooting of the camera's 42.4-megapixel images. Camera shake compensation is equivalent to using a 4.5-step4 faster shutter speed, allowing you to take advantage of a wider range of shutter speeds. Footage from 4K movie recording featuring full pixel readout without pixel binning in the Super 35 mm format exhibits higher resolution and superior clarity than typical 4K movies. Also, the XAVC S5 format allows 4K recording at 100 Mbps maximum bit rate to capture fine details of movement in movies. With the world's highest magnification at 0.78x among digital still camera viewfinders, the XGA OLED Tru-Finder provides views of cutting-edge definition, contrast and depth throughout the entire display. ZEISS T* Coating ensures absolutely minimal reflection on the viewfinder, so the α7R II's extraordinary 42.4-megapixel performance is apparent at all times. Designed for solid reliability and steady handling, the α7R II's compact body is built to withstand the rigors of shooting in the field, thanks to an internal structure and top, front, and rear covers all made of strong, rigid magnesium alloy. The new shutter's braking mechanism cuts mechanical front/rear curtain vibration by about 50%. Also, use the electronic front curtain for even less vibration. This not only minimizes camera shake that can blur details in 42.4-megapixel images—it makes the shutter durable enough to have been tested to 500,0008 cycles. Silent Shooting features an electronic shutter that causes no vibration, so you can shoot high-resolution images without camera shake. This mode also operates without a sound, so it's very convenient for shooting without disrupting indoor performances and outdoor wildlife, and in all other situations where silence is essential. With Wi-Fi and NFC (Near Field Communication) built into the α7R II, you can instantly transfer a photo or MP4 movie to your Android™ smartphone or tablet simply by touching it with the camera, then easily upload the photo or movie to your favorite SNS (social networking site). Sony's application download service lets you add new functions and capabilities to your camera. There are apps for photo and movie effects to enhance and express your creativity, and others to allow your smartphone to function as a camera's remote control, for example. Now also available in AF-C focus mode, Eye AF automatically detects and tracks an eye of even a moving subject, for more framing freedom. If the selected AF point is not positioned on your subject, the α7R II automatically uses AF points surrounding the selected point to support precise focus. 5-axis image stabilization lets you enjoy unparalleled handheld shooting freedom with more of your favorite mountable lenses. The short flange-back distance in the E-mount α7R II extends compatibility with a range of lenses. You can monitor the stabilizing effects of camera shake compensation in the viewfinder or LCD screen while shooting still images by pressing the shutter button halfway or magnifying the image, and while shooting movies by entering movie mode. Even when using a telephoto or macro lens, you can fine-tune framing and focusing without stress for steady results. Fine-tune the look of movies before shooting by adjusting gradation, color adjustment and detail. Adjusted parameters can be saved with other settings as a profile, and up to 7 profiles (PP1-PP7) can be stored for later recall. This proprietary Sony setting featured in professional camcorders creates a 1300% wider dynamic range for smooth gradation with reduced whiteout and blackout. Use color grading in post-production to make the most of low-noise images and super-rich detail to express footage in various ways. ISO 800 or higher is available when S-Log2 Gamma is selected. This function supports 4K and Full HD and allows uncompressed movie output to an external recorder or monitor. The image can also be recorded in the camera even while signals are output using this function. The included cable protector guards jacks and prevents cables from disengaging accidentally, so you can shoot with greater assurance. The α7R II offers more white balance adjustment steps (twice as many on the amber-blue axis; four times as many on the green-magenta axis) than before, so you can finely tune white balance with more subtle precision for more natural colors. This function that boosts image brightness by changing shutter speed, for example, can be assigned to a customizable button for easy access when shooting a starry sky or other dark scene. Prevent blur in a shot of a moving subject by setting a shutter speed at which ISO sensitivity starts changing when ISO AUTO (while in P or A mode, or in Multi Frame NR) is selected. Ample data from 1200-zone metering and focal plane phase-detection AF points allows for more precise control of light volume from an external flash that complements ambient light. Choose Multi-segment, Center-weighted or Spot-metering mode. In AF-S (Single-shot AF) or AF-C (Continuous AF) mode, choose AF priority for taking pictures only when subject is in focus, Release priority for taking pictures even when subject is not in focus, or Balanced Emphasis for balancing the AF and Release options to achieve accurate focus, yet not miss a decisive moment when shooting moving subjects. 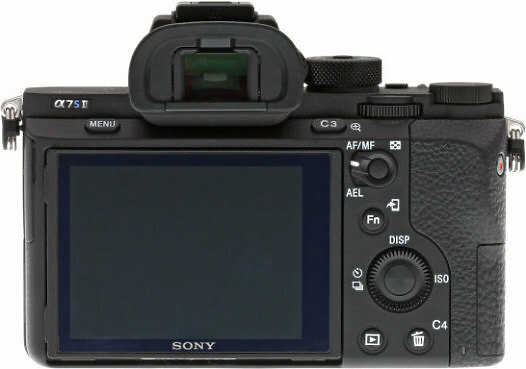 In this mode, press the shutter button halfway down, and the camera automatically recognizes whether the subject is moving or not, then switches AF mode accordingly between AF-S to lock on a subject in focus and AF-C to keep adjusting focus. This versatility is useful for shooting various subjects at the same time, or to avoid switching AF mode manually. Creative Style settings bring out the character of your scene. Simply select any of 13 settings (Vivid, Portrait, etc.) and the camera will adjust image parameters. You can also fine-tune contrast, saturation and sharpness to suit your preference. Auto HDR composites the best details from three exposures to expand the dynamic range of your images from darkest shadows to brightest highlights and capture all the tonal gradations seen by your naked eye. In difficult lighting, DRO corrects your images to achieve smoother, more natural gradations with more detail in the highlights and shadows. You can use it during continuous shooting and when photographing moving subjects. This mode composites four shots to significantly suppress noise and raise sensitivity, letting you clearly capture dark scenes without a tripod or flash. Camera shake blur is also lowered while contrast and detail are raised. You can clearly magnify the image to simplify manual fine-tuning of the focus whether shooting still images or movies. The Peaking function can also be activated to colorize the most sharply focused areas of your image for quick confirmation. Commlite (EF-E) Adaptor A7S ONLY! Hire the Sony A7S II Camera from Procam. Best service and rental rates for the Sony A7S II Camera and all cameras, lenses, sound, lighting and grip.